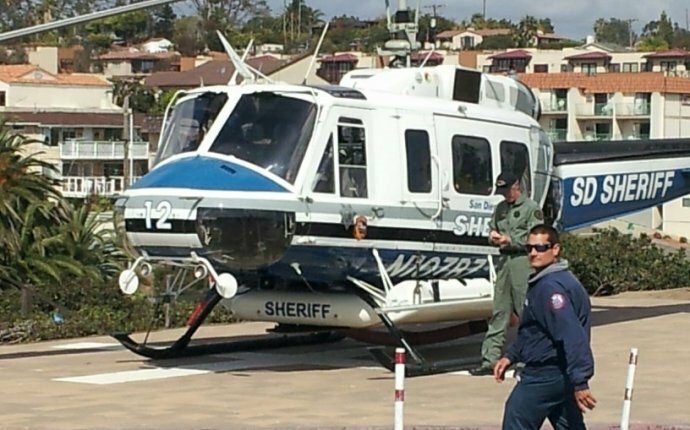 So how does one become a police or law enforcement helicopter pilot? This is a question I see regularly posed in forums and on web pages across the web. It’s a question that has many answers due to the fact that every agency in the U.S. (and probably the UK) operates slightly different. They are different because their budgets are different, and each has its own set of policies and procedures that have been developed over the past 30-40 years. One department may decide to organize an air unit in a particular way for budgetary reasons, such as hiring a civilian pilot or even contracting both the actual helicopter and pilots from a private company. Then they would simply add the sworn law enforcement observer, (also known as Tactical Flight Officer). Other agencies may choose to hire a very experienced civilian pilot, but require him or her to complete a police academy (which can be as long as 6 months) and complete initial patrol training on the streets. In other words they take an experienced helicopter pilot, make him or her a police officer, then place them into the air unit as a police helicopter pilot. I met a pilot recently with the Arizona Department of Public Safety who was hired just this way. He already had years of experience flying helicopters in the Coast Guard and other places but was required to attend the Arizona DPS Academy. The most common method by far to become a police helicopter pilot, particularly among large agencies, is to be selected into the unit first as an Observers/Tactical Flight Officer. And the vast majority of agencies select their TFO’s from their experienced law enforcement officers. When it is time to train a new pilot, they will select from the current pool of tactical flight officers who have been successful in that role. This is exactly the path that lead me to becoming a helicopter pilot in my department's aviation unit. Let's take a brief look at what it's going to take to become a police helicopter pilot. If you have spent any time on this site then you have probably already heard me say that it is going to be a long term goal if you are just starting out. That is if you are just starting out as either a law enforcement officer, or as a student helicopter pilot. Either way it is a worthwhile goal that is very rewarding for the person who is willing to work for it. But let's look at some examples. I once received an email from one of my former civilian flight instructors who was at the time flying complex IFR certified helicopters for Petroleum Helicopters Inc. in the Gulf of Mexico. He mentioned that the Sonomish County (Ca.) Sheriff's Office was hiring a civilian pilot. Their requirements were, 2000 hours of turbine (engine) helicopter time, 200 hours of long line time (slinging items from beneath the helicopter), 300 hours of mountain flying experience and 100 hours of unaided night time experience. Though he was flying medium lift, complex helicopters on IFR missions, he apparently did not yet have the experience they were looking for. Now another police agency may ask for a different level of experience, but this is an example of a particular law enforcement agency looking to hire a civilian pilot. But for the student pilot just starting out we have to back up and look at how you land that first helicopter flying job. Most civilian helicopter pilots will obtain their private, IFR (instrument rating) commercial, and CFI (certified flight instructor) ratings, while going to flight school. Some will go on to obtain what is call "double II" and that is their instrument instructor rating. That is a lot of ratings at a significant cost (think of a student loan for at least $50, 000). The instrument instructor rating is not mandatory but many student pilots do go on to get this rating. The student pilot normally then becomes an instructor, often at the same school where he or she studied. This is their first actual flying job. Most helicopter companies require you to have either 1000 or 1500 hours of Pilot in Command flight time, depending on the company, before they will hire you. Why so many flight hours? Most will tell you that this is the standard their insurance companies have set. And if a company has set a minimum number of flight hours they generally will not even talk to you until you have fully met that minimum requirement. It is only at this point that most pilots will begin building their turbine engine time because up to now virtually all of their student and instructor time will be in piston engine helicopters. Now there will be variables to everything I say here but this will give the young student pilot who is just starting out, some idea of what it is going to take to land a job as a police pilot (in the U.S.).